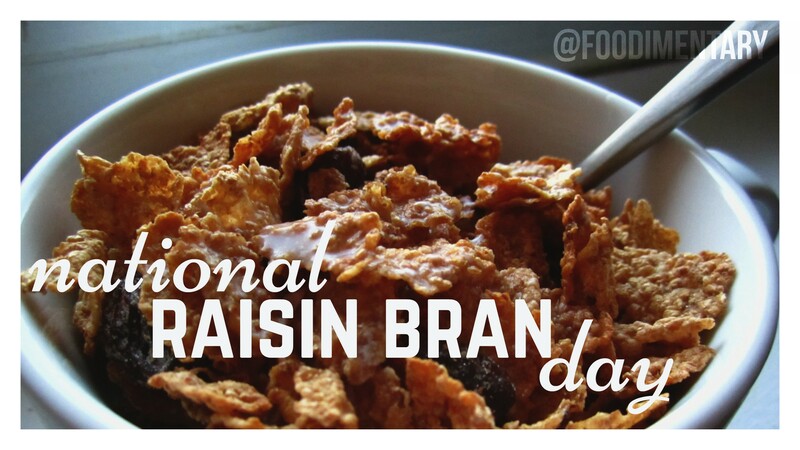 November 15th is National Raisin Bran Day! “Skinner’s Raisin Bran” was the first bran brand on the market, introduced in the United States in 1926 by U.S. Mills. During his incarceration, former Iraqi dictator Saddam Hussein preferred Raisin Bran cereal for breakfast given by his American prison guards. The first cold breakfast cereal, Granula, was invented in the United States in 1863 by James Caleb Jackson, operator of Our Home on the Hillside which was later replaced by the Jackson Sanatorium in Dansville, New York. Twenty-six percent of Americans snack on cereal during the day; 61 percent of that group is women. Kellogg’s was the first company to advertise on the Times Square billboard in New York.